It’s been forever and a damn day since UVA Football has been sittin’ pretty in relation to its peers in the ACC. But, that day is here. Yes, OK, the ‘Hoos lost, again, ad nauseam, ad infinitum, to Virginia Tech. Fifteen straight, a million straight, whatever. Still, you’d rather be UVA heading into Year 4 of Bronco Mendenhall than Virginia Tech heading into Year 4 of Justin Fuente, with the writers asking every presser about the offensive coordinator’s continued employment, with Bud Foster getting his own presser to talk about his defense that gives up 30 points and 430 yards a game. Then, you look across the landscape, first at North Carolina. They’re the Bad in The Good, The Bad & The Ugly T-shirts they used to sell at Mincer’s back in the day. Carolina fired, and rightfully so, Larry Fedora, who you could explain away by saying, injuries, but, injuries or not, back-to-back nine-loss seasons are unacceptable, and 45-43 in seven seasons is not going to get the job done. So, what does UNC do to get things moving in the right direction? They reach back 20 years and try to make like Mack Brown never left. Now, the Mack Brown Era, that was an Era of Good Feelings in Chapel Hill. Carolina won 10 games in each of his last two seasons, 1996 and 1997, and he’d have had 11 in ’96 if he’d just kicked a field goal up 17-3 in the fourth in Scott Stadium, as we all remember. Then Brown left for Texas, won a natty in 2005, averaged 11 wins a year for a nine-year stretch from 2001-2009, before … the game seemed to pass him by. His last four years, 2010-2013, played out like the endgames for Bobby Bowden and Frank Beamer, with Texas going 30-21 over that closing stretch, before he announced his, ahem, retirement. That was five years ago, five years of not particularly insightful color and studio commentary for ESPN, that wouldn’t make you think he’d necessarily picked up much from meeting weekly with coaches to get information about their game planning ahead of broadcasts. When his name first came up as a possibility for the UNC job, my thinking was, this is a writer looking to get clicks for a story, right? No way Carolina is actually thinking Mack Brown. Then he gets the job, and I’m trying to rationalize. OK, so, I get it, if he hires a young coordinator or two, maybe they name one of them the coach-in-waiting, so Mack is there to jumpstart recruiting, get things moving in the right direction, then hands things off to the heir apparent. That may still be happening, but all we really know right now is that he had been planning on recycling Greg Robinson to be his defensive coordinator, before wisely reconsidering that move. However things turn out with all that, Carolina Football is very much behind the eight-ball right now, which, since UNC is a Coastal Division rival, good for UVA. Also good for UVA: Georgia Tech coach Paul Johnson’s surprising retirement. I agree with my colleague, Scott German, who said on our podcast on Monday that it’s not surprising that Johnson is leaving, because he’d been on the hot seat seemingly forever, and Georgia Tech had been stagnant in recent years, going just 24-24 since 2015, for instance. I still call it surprising, though, that Johnson is going, because of the fact that we’re now a week into the post-Paul Johnson Era, and Tech doesn’t yet have a coach in place. The leader in the clubhouse seems to be Los Angeles Chargers offensive coordinator Ken Whisenhunt, whose college coaching experience consists of two seasons, way back in 1995-1996, as a position coach at Vanderbilt. Hire him, and he has to learn on the job, after 20 years-plus in the NFL, how to put together a staff that recruits high-school kids. Apparently, the job has been offered to Whisenhunt, and Georgia Tech is waiting on him to decide. Should he take the job, presumably, then, he’s head coach at Tech part time while he finishes out his season with the Chargers, who look to make a deep run in this year’s NFL playoffs. Which is significant in the context of what the biggest priority will be at Georgia Tech: overhauling the offense. When you make the call to hire a guy like Paul Johnson who runs a gimmick offense, the problem you face on the back end is building your way out of said gimmick offense. For Whisenhunt, or whoever ultimately takes over at Georgia Tech, you inherit a solid defense, ranked fourth in the ACC in total defense in 2018, but on offense, you have quarterbacks, running backs, wide receivers and linemen recruited and trained to run a triple-option. And how the triple-option translates to whatever your new coach decides he wants to run – be it pro-style, some sort of spread – is, well, it doesn’t translate. You’re going to be trying to fit square pegs into innumerable round holes for at least next year, and if you’re not able to get recruiting started ASAP, probably into Year 2 as well. This isn’t a rebuild; you’re starting over with new floor plans before you can even break ground. 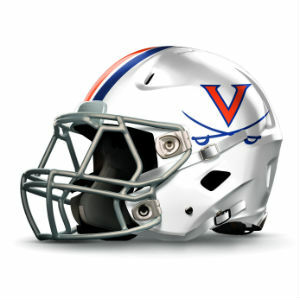 Good luck with all that, Georgia Tech, and, with the Jackets being another Coastal rival, good for UVA. Final good news for UVA: the dumpster fire that is Louisville, which the ACC has assigned as UVA’s annual cross-division opponent. Dumpster fire might be putting it mildly. Here’s how bad things have to be: Jeff Brohm, born and raised in Louisville, played quarterback at Louisville, coached there, was the obvious next guy after Louisville fired Bobby Petrino, and could tap on the shoulder of Brohm, who is two years into turning around Purdue, after a nice run at Western Kentucky. It’s the kind of offer that you only get to turn down once: your dream job, where you grew up, where you played, where you coached. And Brohm turned it down. And so Louisville moved on to its second choice, and I like the guy they ended up with, Scott Satterfield, an App State alum who put up a 51-24 record in six seasons at his alma mater, including a 10-2 mark in 2018. It won’t be easy to get things turned around at his new job. Louisville is two seasons removed from a November swoon that dropped the Cardinals out of the playoff discussion, but, damn, this year’s team stunk on ice, and it didn’t seem like there was a lot in the cupboard. For UVA, we play ‘em every year, so, good for UVA. All of that, plus the mess at Virginia Tech, and you have to like where the guys in orange and blue are heading into 2019 and beyond. I’d say, as long as we don’t screw this up, we should be good for a while. I hesitate to say that, though, because I just feel like we’re about to, you know, screw things up, but you know that if you read my column yesterday.